I love seeing animals in the wild, and if I can’t see them in the wild, then a sanctuary is the next best thing. 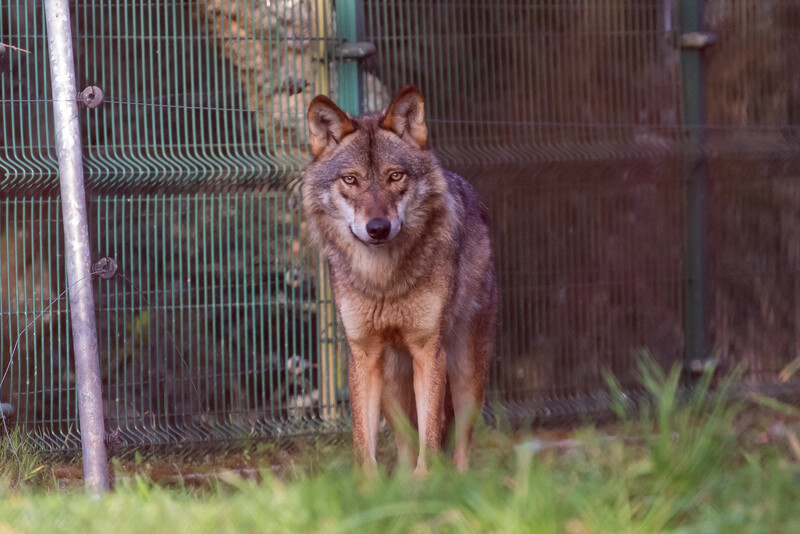 When I discovered that the Iberian Wolf Sanctuary was less than an hour’s drive from our home on Portugal’s Silver Coast, I knew we had to visit. Although not compulsory, it’s advisable to book a place on one of the guided tours in advance, as tours only operate on weekends and public holidays. Details on times of visits and how to reserve a place are at at the end of this post. So on a sunny Saturday in February, we pre-booked ourselves on the bilingual tour at 16:30 that is conducted in English and Portuguese. The earlier tour is in Portuguese only, and despite living here for almost two years, our Portuguese skills are still rather dire, but that’s a whole other story. While we were waiting for our tour to start, we could actually see a wolf in the distance. As with all nature activities, a sighting is not guaranteed, so we were very excited. The wolves live in huge enclosures that are densely vegetated to recreate their natural habitat so they can be hard to spot. But binoculars are provided or bring your own. Before heading out to see the wolves, we were given a brief presentation inside the visitor centre about Iberian wolves and the need for the sanctuary. At one point, the Iberian wolves were hunted to near extinction as farmers feared for their livestock, but since 1988, they have been a protected species in Portugal. How Many Iberian Wolfs Are There? Scientists believe there are currently around 300 wolves living in North Portugal and around the Peneda-Geres National Park, but sightings are rare. 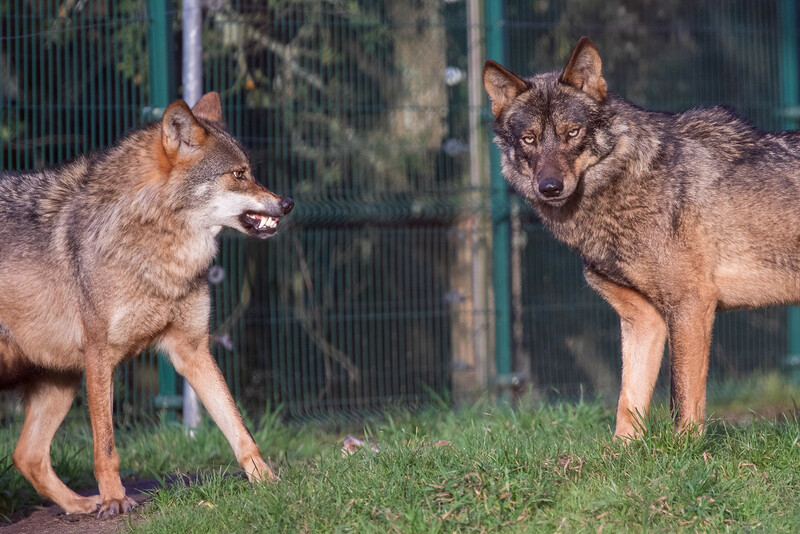 The 13 Iberian wolves that currently live at the sanctuary were rescued from zoos, and illegal captivity and wouldn’t be able to survive in the wild, so there is no release programme. As wolves live in packs, they are incredibly territorial, so there are five or six different enclosures each designed to be as close to their natural habitat as possible with minimal contact with humans. What Is It Like Visiting The Iberian Wolf Sanctuary? The walk along the perimeter of the enclosures lasts between an hour and a half to two hours. Don’t wear heels; the paths are very uneven. As we peeked into the first enclosure, we saw nothing, the wolves must have known we were coming. Oh well, at least we saw one when we arrived albeit, at a distance, we thought. But by the second enclosure, we were rewarded with a close up of the wolves. These had both been rescued from zoos and were used to people staring at them. 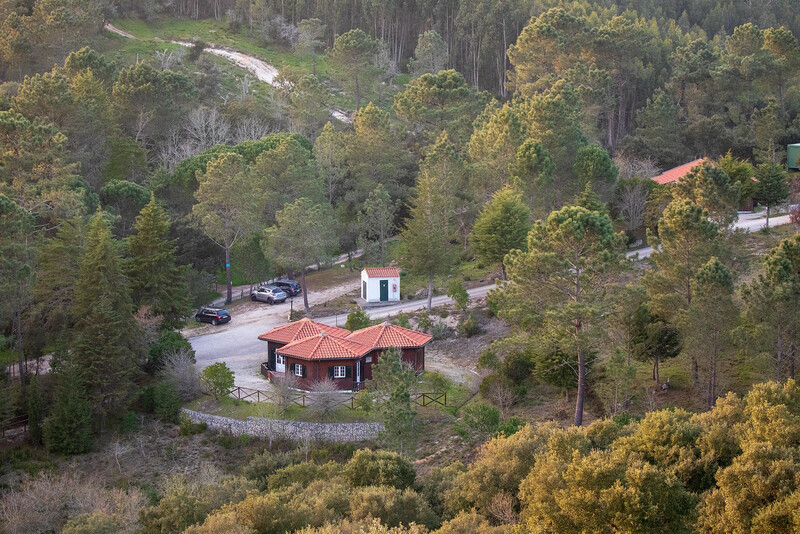 Even if you weren’t lucky and didn’t actually see any wolves, the natural scenery in this part of Portugal was just gorgeous, and it’s a pleasant walk. As the sun began to set and the tour came to an end, the wolves began to howl. A haunting sound but a fabulous end to a great visit. If you get the chance, we highly recommend a visit to the Iberian wolf Sanctuary. Please note that the 15:00 tour is conducted in Portuguese only but the 16:30 is both in English and Portuguese. Please note that the 16:00 tour is conducted in Portuguese only but the 18:00 is both in English and Portuguese. It’s best to book your tour in advance. Either call them on 351 261 785037 or drop them an email crloboiberico@fc.ul.pt Let them know how many visitors and what day and time you prefer plus leave your contact number. Note that strollers are not allowed. Ideally, you will need your own transport as not surprisingly the Wolf Sanctuary is in a rather remote area. Coming from Lisbon, the closest town is Mafra. They are such pretty creatures, and what a great way to see them up close! I’m happy that places like this even exist in order to help these animals! Wow they are such amazing animals! This would be a very cool experience when we visit. Good to know all about Iberian Wolf Sanctuary. Sounds like you guys had a cool experience. 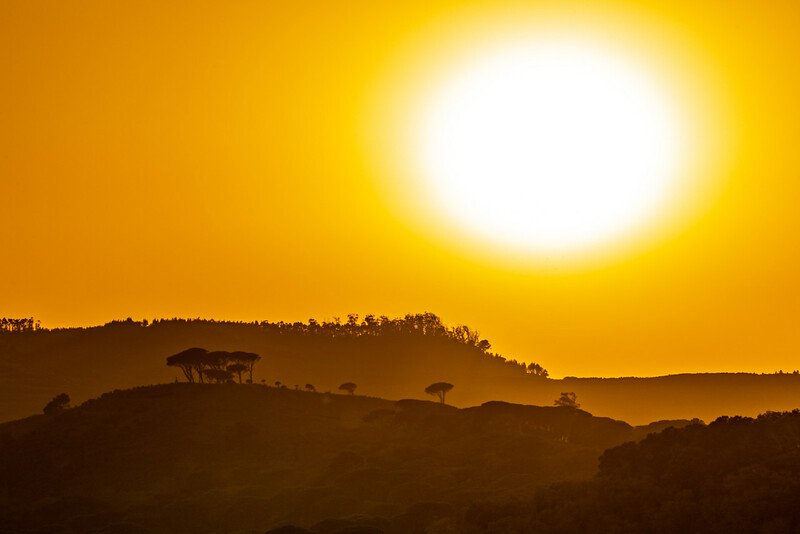 The sunset at the Iberian Wolf Sanctuary is so beautiful. I love wildlife, so I guess I would love visiting here. You definitely have some great photos! I did not know you could see Iberian wolves in Portugal. Something for a return visit for sure. Good to know that we need to watch for the tours in English. Despite living in Portugal for 4 weeks, we picked up only a little of the language. And forgot most of it. So great to have a place the rescues animals that can no longer live in the wild.